Magnetic sweep can be operated easily to collect any nail,nuts,screws from floor and released by handle. 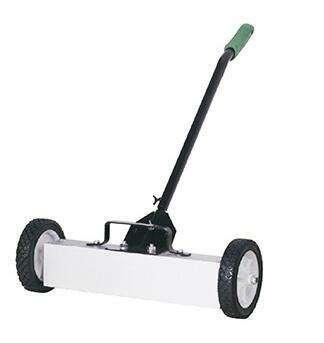 Magnetic Sweepers can clean or sweep iron chips, nails, bolts, nuts etc from the garages, walkways, yards or aisles of factory or home. Collected debris can be easily emptied by release handle.